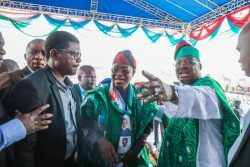 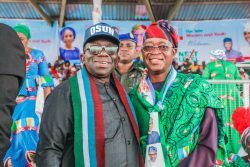 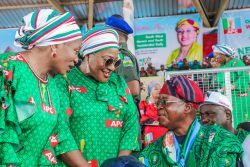 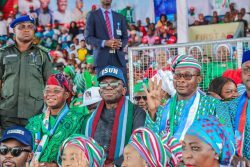 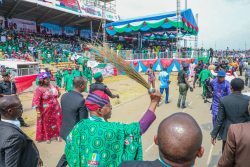 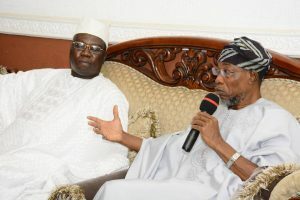 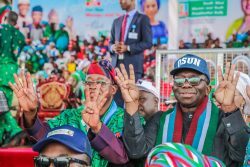 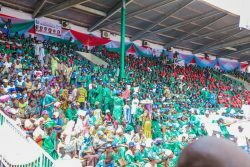 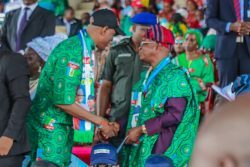 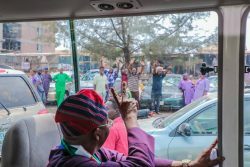 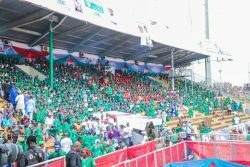 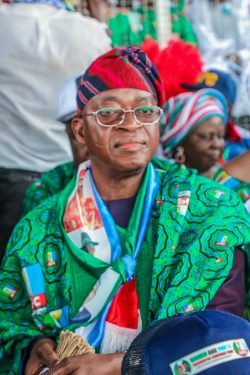 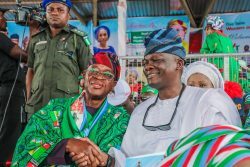 Govenor Gboyega Oyetola on Saturday led the top echelon of the All Progressives Congress in the state of Osun at the Women and Youth Presidential Campaign Team South west zonal Rally at liberty Stadium, Oke Ado, Ibadan. 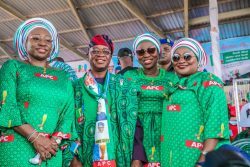 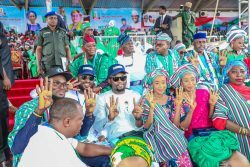 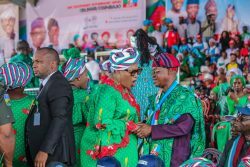 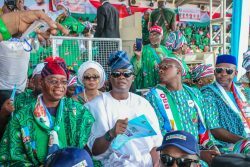 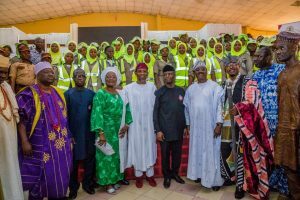 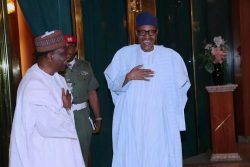 The Wife of the Vice president, Mrs Dolapo Osinbajo and Wives of South West Governors including Govenor Abiola Ajimobi of Oyo State among others attended the rally. 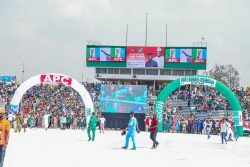 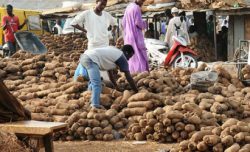 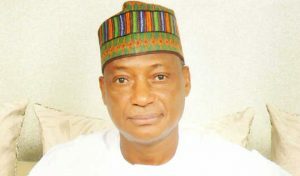 Jamiu Omookose sent in pictures from the rally.